1. 1 Samuel 27:1 — “Then David said in his heart, ‘Now I shall perish one day by the hand of Saul’.” David lost hope and made a questionable choice. Our decision-making is affected by our M-E-P-S strength – Mental, Emotional, Physical, and Spiritual. David was likely mentally, emotionally, and physically exhausted which affected him spiritually. We must be careful about decisions we make when we are weak mentally, emotionally, or phsyically. We must rely more on our spiritual strength which is cultivated over time (before you need it) through daily, genuine relationship with Jesus. 2. 1 Samuel 27:5-7 — Relying in his own wisdom and strength (which seemed to work), David entangled himself in relationships with the ungodly. This reminds me of when Abraham went back to Egypt. 3. 1 Samuel 27:10 — “When Achish asked, ‘Where have you made a raid today?’ David would say, ‘Against the Negeb of Judah,’ or, ‘Against the Negeb of the Jerahmeelites,’ or, ‘Against the Negeb of the Kenites.’” Deception is an acceptable part of warfare, but in this case, David was violating a personal trust of hospitality which was unrighteous. 4. 1 Samuel 27:12 — Having turned to the ungodly for sanctuary, David lived a deceitful, bloody life, returning evil for good – “And Achish trusted David.” Though these were the enemies of Israel, they entered into a relationship of trust with David, yet David reduced himself to their practices which had been used to victimize the Israelites for years. – Under pressure, Saul would rather reject God to save his own skin than be faithful. Saul also showed that, deep down, he had no integrity. It is also interesting to note that his servants were aware of lawbreakers acting behind Saul’s back and only told him now. – Against God’s Law (see verses below), Saul sought a medium because “the Lord did not answer him.” This is the same reason people today turn to other sources rather than God for answers. For most people, it’s not a medium they go to but rather world philosophies, other people, “common sense,” etc. They go to others for answers rather than God because they have never heard or no longer hear the voice of God. However, Jesus said, “The sheep hear his voice, and he calls his own sheep by name and leads them out. When he has brought out all his own, he goes before them, and the sheep follow him, for they know his voice. A stranger they will not follow, but they will flee from him, for they do not know the voice of strangers…. I am the good shepherd. I know my own and my own know me…. they will listen to my voice.” (John 10:3-5, 14, 14-16) Do you clearly hear, recognize, understand, and obey the voice of the Good Shepherd, and are you able to discern between His voice and the voice of the thieves that seek to steal the sheep? – The Bible explains why God did not answer Saul: “Because you did not obey the voice of the Lord…. the Lord has turned from you and become your enemy (28:18, 16).” His disobedience had separated him from God and hardened his heart. In his sin, not only could he not hear God, God had stopped talking with him. As Proverbs tell us, “Those of crooked heart are an abomination to the Lord, but those of blameless ways are his delight (Proverbs 11:20).” Of course, most people with a crooked heart, don’t believe they have a crooked heart – “I’m a good person.” As the old joke goes: “What do all prisoners have in common? They are all innocent.” In their pride, some refuse to acknowledge their sin, to repent, and to repent and to walk by God’s word in humble obedience. They accept the consequential silence from God as “reality” and turn to other forms of “knowledge” for answers. Often they tell themselves that their imagination is the voice of God. – From today’s readings, consider how different David’s life and testimony is from Saul’s: “This I know, that God is for me. In God, whose word I praise, in the Lord, whose word I praise, in God I trust; I shall not be afraid. What can man do to me? I must perform my vows to you, O God; I will render thank offerings to you. For you have delivered my soul from death, yes, my feet from falling, that I may walk before God in the light of life (Psalm 56:9-13). Despite his circumstances, David lived life in confidence knowing that God was “for him” because David praised the word of God and kept his vows before God. He gave thanks to God and “walked before God.” Are you walking before God or men? Saul did not desire God but only the blessings of God. Saul’s religion was all about Saul. God does not relate to us that way. Saul revealed his true heart when he didn’t get what he wanted from God – he turned to a medium (forbidden by God) to get what he wanted. To do this he had to counter his own orders to Israel and completely compromise his personal integrity. When pressed in a corner, Saul revealed the truth of his character. – If you want to hear from God, you must be careful to obey His written word which He has freely provided and which is not hard to understand. Don’t look for a special revelation when you have ignored His general revelation. – Leviticus 19:31 — Do not turn to mediums or necromancers; do not seek them out, and so make yourselves unclean by them: I am the Lord your God. – Leviticus 20:6 — If a person turns to mediums and necromancers, whoring after them, I will set my face against that person and will cut him off from among his people. – Leviticus 20:27 — A man or a woman who is a medium or a necromancer shall surely be put to death. They shall be stoned with stones; their blood shall be upon them. – Isaiah 8:19 — And when they say to you, “Inquire of the mediums and the necromancers who chirp and mutter,” should not a people inquire of their God? Should they inquire of the dead on behalf of the living? 6. 1 Samuel 28:10 — “But Saul swore to her by the LORD, ‘As the LORD lives, no punishment shall come upon you for this thing.’” Saul made oaths in God’s name while disobeying God. 7. 1 Samuel 28:16 — “Why then do you ask me, since the Lord has turned from you and become your enemy?” When we disobey God, we are working against Him like an enemy. God, of course, will never bless that, no matter how ‘sincere’ we are in our desires and requests. God must be honored as God when we approach Him. In this case, Saul’s fate was already determined. There was no escaping the consequences. 8. 1 Samuel 28:14 — “And Saul knew that it was Samuel, and he bowed with his face to the ground and paid homage.” Many commentators suggest that this was not really Samuel. The verse seems clear that it was. You decide. 9. Proverbs 13:4 – “The soul of the sluggard craves and gets nothing, while the soul of the diligent is richly supplied.” Dreams are not plans; plans are not actions. Nothing happens without a plan well executed. This is true in our spiritual development as well. Discipleship requires daily discipline. 10. Proverbs 13:7 – “One pretends to be rich, yet has nothing; another pretends to be poor, yet has great wealth.” It is not what you say you are that matters or what others think you are but rather what you really are, what you are in the dark, what you are in your heart. 11. Proverbs 13:8 – “The ransom of a man’s life is his wealth, but a poor man hears no threat.” Life is easy when you have nothing left to lose. Discipleship is easy when you have already been crucified with Christ and no longer live, when you have truly died of self. 12. Proverbs 13:11 – “Wealth gained hastily will dwindle, but whoever gathers little by little will increase it.” There are no shortcuts to the things that matter most in life. Everything that matters takes daily, persistent, hard work over a lifetime. This applies to discipleship too. 13. Proverbs 13:13 — “Whoever despises the word brings destruction on himself, but he who reveres the commandment will be rewarded.” Do you revere the word of God? 14. Proverbs 13:18, 20 – “Poverty and disgrace come to him who ignores instruction, but whoever heeds reproof is honored…. Whoever walks with the wise becomes wise, but the companion of fools will suffer harm.” Many verses in today’s proverbs speak to the wisdom of accepting sound, godly counsel, and the foolishness of ignoring godly counsel and being influence instead by the ungodly. How important is it to surround yourself with godly counsellors and friends? 15. Proverbs 13:22 – “A good man leaves an inheritance to his children’s children, but the sinner’s wealth is laid up for the righteous.” God expects his people to think generationally, long-term, not short term. Abraham was promised to be the father of many nations and to receive the Promised Land, but that promise was not fulfilled until generations after his death. A theme through the Bible is that God’s plan is generational. We have the burden of responsibility to pass the teachings of the Gospel on to the next generation, training them to do the same. 16. Proverbs 13:24 — “Whoever spares the rod hates his son, but he who loves him is diligent to discipline him.” Love and discipline go together. External discipline prepares the way for internal discipline. 17. Proverbs 13:25 — “The righteous has enough to satisfy his appetite, but the belly of the wicked suffers want.” The righteous have enough because they are satisfied with God’s provision. The wicked are never satisfied, always wanting more because to are ruled by uncontrolled appetites. 18. Psalm 56:2 – “…my enemies trample on me all day long, for many attack me proudly. Attacks are motivated by pride. 19. Psalm 56:3, 4 – “When I am afraid, I put my trust in you. In God, whose word I praise, in God I trust; I shall not be afraid. What can flesh do to me?” The remedy for fear is trust in God. Fear is a trust problem, a faith problem. “Do not be afraid,” is a command often repeated in the Bible. It is a command because, in our lack of faith, we must be reminded to practice trust, to do it even when we don’t feel it. The more we do it, the more we will start feeling it. These verses tell us that an important process to learning to trust and no longer fear is to ‘praise God’s word.’ It is very difficult to become fearless without impassioned Bible study. Put on the full armor of God BEFORE you begin the day’s battle; praise God (even if you don’t completely feel like rejoicing) for the truths you read in God’s word and trust in them. What does “rejoice” mean? It means, essentially, to ‘joy’ again. When you feel doubtful or down, re-joy – praise God and be filled with joy, despite your apparent circumstances. Focus on the love and faithfulness of God and His promises for you. Obey the command to fear not. Don’t allow yourself to be afraid or the worry. Replace your negative thoughts with the truth of Jesus. This is something you must decide to do. 20. Psalm 56:4 — “In God, whose word I praise, in God I trust; I shall not be afraid. What can flesh do to me?” If you truly trust in God, you will not be worried. When you are worried, turn to Jesus. You won’t trust someone you don’t know very well. You can’t know someone very well you haven’t spent much time with and who you haven’t seen to be trustworthy. Spend more time with Jesus and see His love and faithfulness in your life. 21. Psalm 56:8 – “You have kept count of my tossings; put my tears in your bottle. Are they not in your book?” God knows every bit of your sorrow, counting every tear you shed. The Psalmist is struggling with fear and doubt, and is reminding himself of God’s perfect love and reliability. This is written as an example for us. 22. Psalm 56:10 — “In God, whose word I praise, in the LORD, whose word I praise.” How you feel about God’s word reveals how you feel about God. A worn out Bible usually belongs to someone who isn’t. 23. Psalm 56:12 — “I must perform my vows to you, O God; I will render thank offerings to you.” Your level of obedience reveals your level of gratitude for Jesus’ sacrifice for you. 24. Psalm 56:12 — Fear is one of the biggest causes of sin. In your fear, remain obedient. In your obedience, God’s fidelity will become more evident to you, you will trust more, and fear less. 25. Psalm 56:12, 13 — “I must perform my vows to you, O God; I will render thank offerings to you. For you have delivered my soul from death, yes, my feet from falling, that I may walk before God in the light of life.” God loves you so much that He gave his only Son so that you would not perish but would have eternal life. How then should you live your life on earth? 26. Psalm 57:2, 3 — “I cry out to God Most High, to God who fulfills his purpose for me. He will send from heaven and save me; he will put to shame him who tramples on me. Selah. God will send out his steadfast love and his faithfulness!” God will fulfill His purpose for you. Even your trials are part of God’s plan for your life, though you cannot understand why while you are going through them. Mary and Martha could not understand why Jesus delayed in healing Lazarus and allowed him to die, but Jesus wanted to bring Mary, Martha, and Lazarus into a much deeper understanding of Him and relationship with Him; He wanted them to truly experience that He is the Resurrection and the Life. God always shows you perfect love and faithfulness, and you might have to go through your own fiery furnace or lion’s den in order to truly see it. 28. Psalm 57:7 – “I will sing and make melody!” In the midst of trials, praise God! 29. Psalm 57:9 — “I will give thanks to you, O Lord, among the peoples; I will sing praises to you among the nations.” What you say to others about Jesus reveals what you really think about Him. 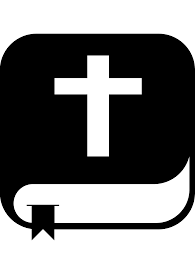 “Cross” Fit S-WOD (Spiritual Workout of the Day) – 13 May: Today, make the decision to trust God completely with your trials and challenges. Trust that God knows exactly what is going on in your life and is fulfilling His plan for you which is based on His perfect love for you. Praise God today. Do not worry about anything, but pray about everything. You have to decide to trust — today is the day (Psalm 56, 57).